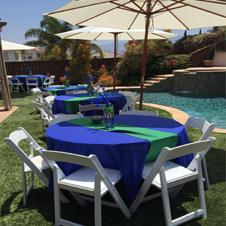 Easlake Living Party Rentals | Tables, Chairs, Tents, and More! 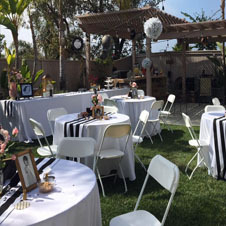 Birthdays, Weddings, Showers, Receptions, Corporate, Business Mixers and more. Rentals for any occasion. No minimum required. Check out what we carry or call us for a full inventory of what we can deliver. We provide competitive prices. We value every client no matter the size of the event. Convenient Online Payment to secure your reservations. We value every client and care that every event is a success! Love to hear how our rentals and our customer service worked out for you. Share your experience with us of how it all came together.